Episode 48: The Neil Breen Spectacular! On this week’s episode, we did something we’ve never done before…. We covered THREE movies. That’s right. That means we sat through 3 movies in a row and then recorded this VERY long episode after. It was grueling. 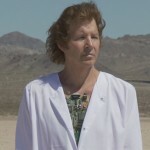 Aaron’s back in town to discuss all three of Neil Breen’s movies; Double Down (2005), I Am Here…. Now (2009) and Fateful Findings (2013). Listen up to find out how they all measured up during our ratings! This episode is a healthy 1 hour 45 minutes, so god bless you all. I’m gonna have to disagree on Double Down and I Am Here….Now. I found them fascinating and really got a kick out of them. Obviously they aren’t high budget, but I had fun watching them. Fateful Findings fell flat for me, but I have only seen it once so maybe its like the first Anchorman and it grows on you over time. Either way, I can’t wait for Pass Thru Film. If nothing else I’m just really curious about what it could be. He certainly does make fascinating films and we probably did them a disservice by watching all three of them in one sitting. Perhaps a solo viewing of each would help soften the blow. That being said I still like Double Down the most. Can’t wait for Pass Thru! I’m excited to see my $30 contribution on screen.